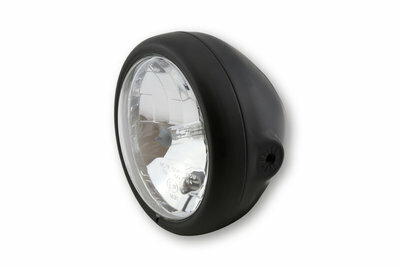 Main headlight with clear lens in a matt black metal housing and adjustable inner ring with patterns on lens. Headlight with asymmetrical reflector and parking light. Headlight with asymmetrical reflector - only for right-hand driving.